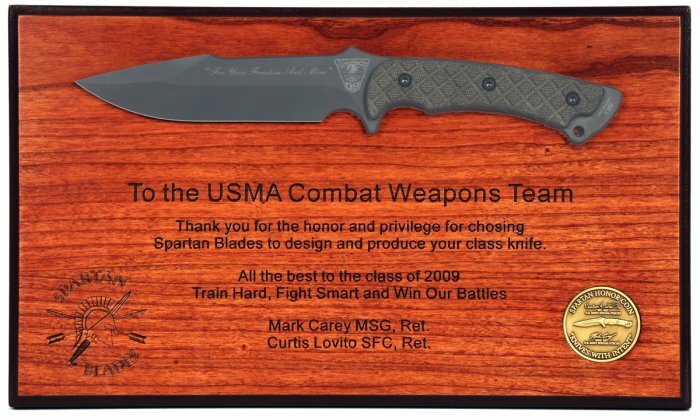 1st Horkos Blade for West Point - This plaque was presented to the Combat Weapons Team of the U.S. Military Acadamy "West Point" with the first horkos blade that we made for them. 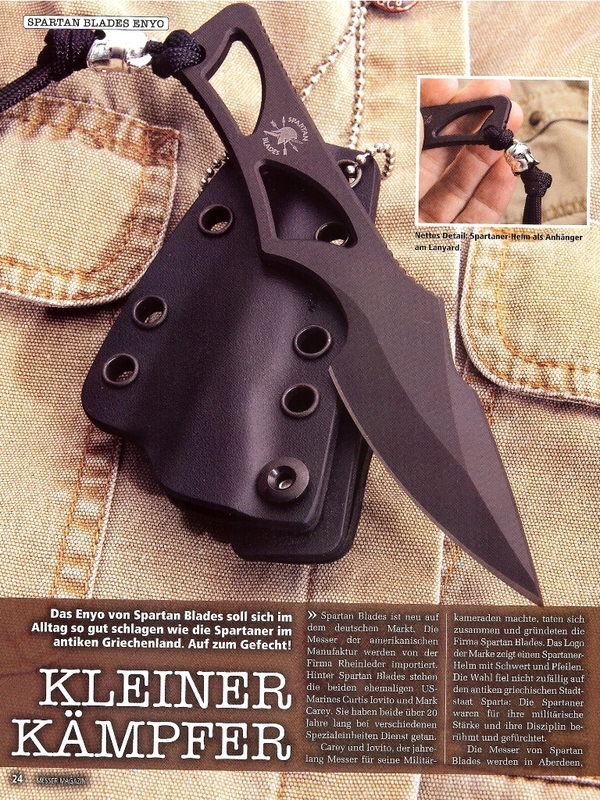 This balde was designed in concert with them as a way of honoring the members of the team. 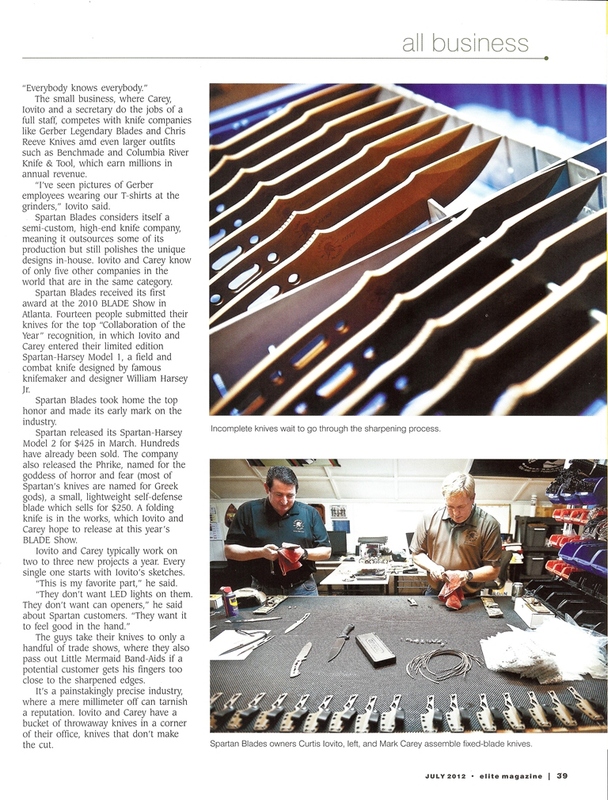 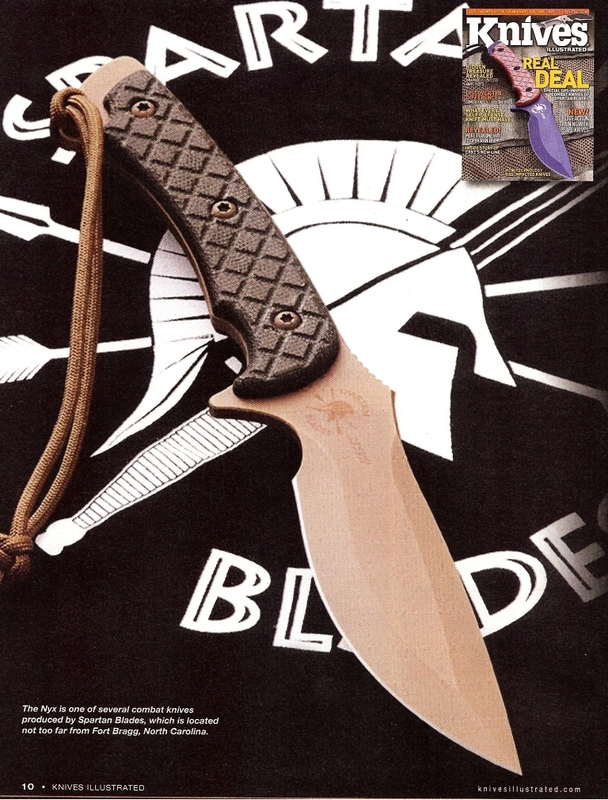 Ares Featured in Blade magazine - Ares was featured in the December 2010 issue of BLADE magazine. 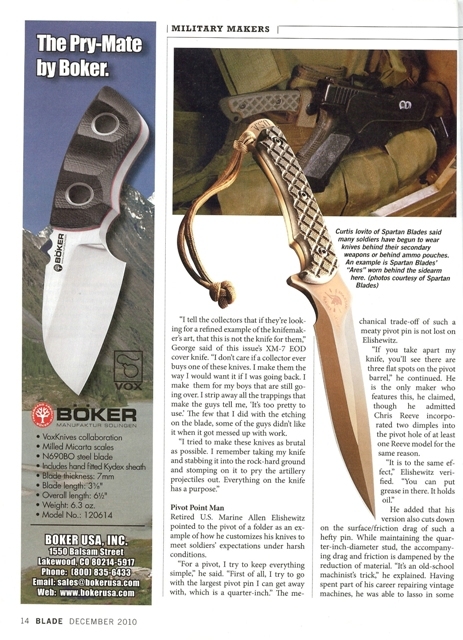 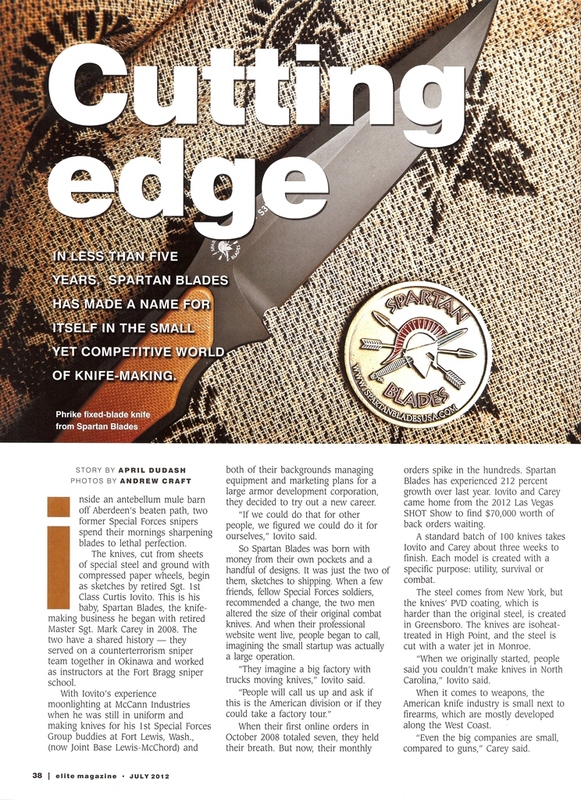 The article talked about knives made by former service members. 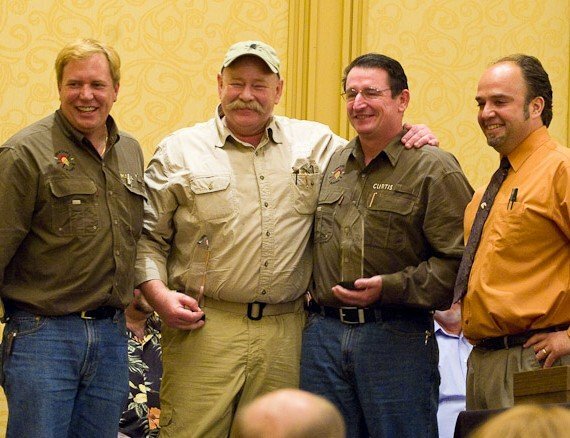 Award for "Best collaboration 2010" - Mark, Curtis, and Bill being awarded the 2010 award by Joe Kertzman in Atlanta. 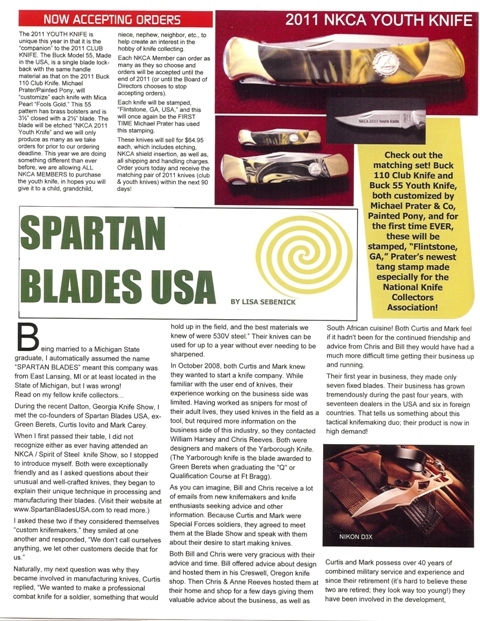 Curtis Iovito, Bill Harsey, and Mark Carey - The owners of Spartan Blades along with Bill Harsey after being awarded BLADE Show award for "Best collaboration 2010" in Atlanta. 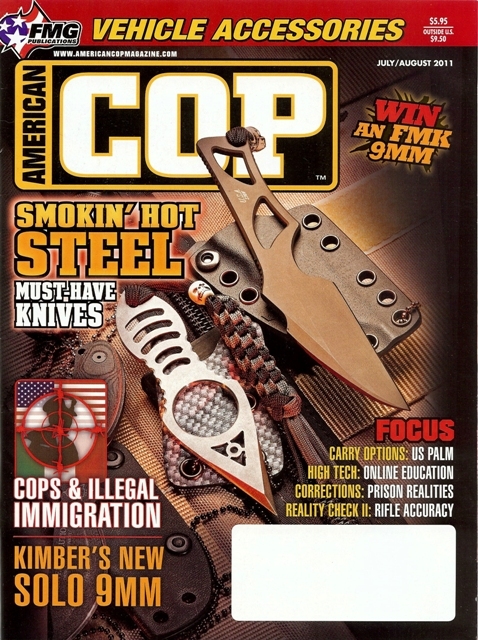 Front Cover - The Phobos knife on the front cover of American Cop. 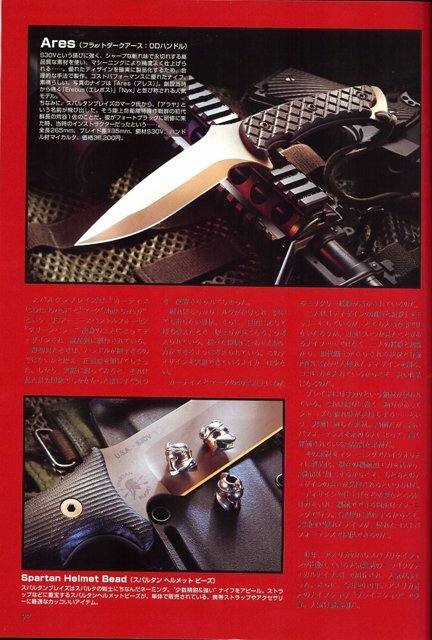 Nyx in Japan - Nyx pictured with an M-4 Carbine by our friends in Japan. 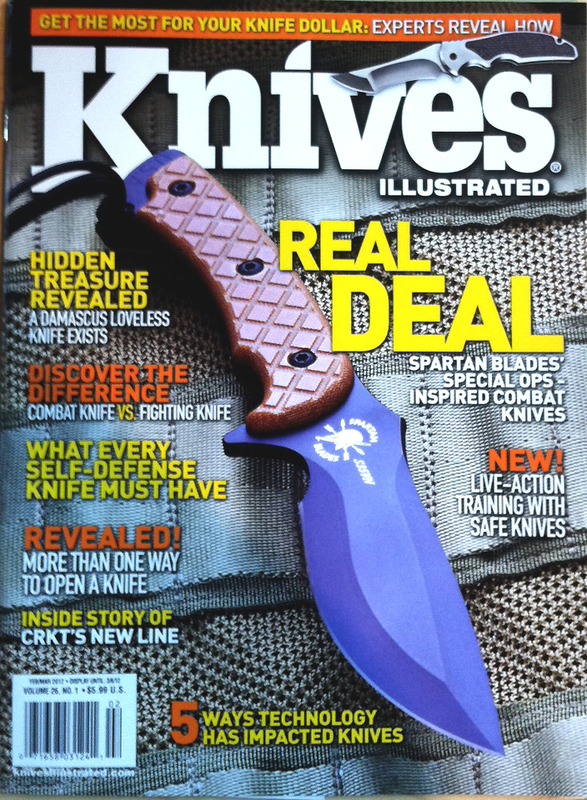 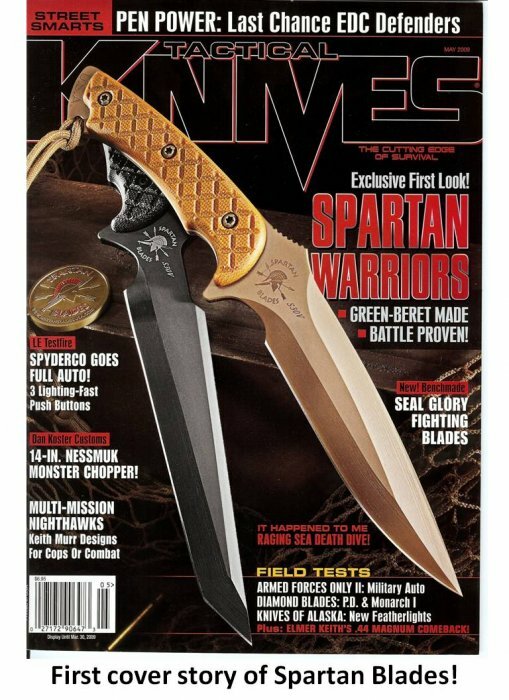 The first cover - Spartan Blades on the front cover of Tactical Knives! 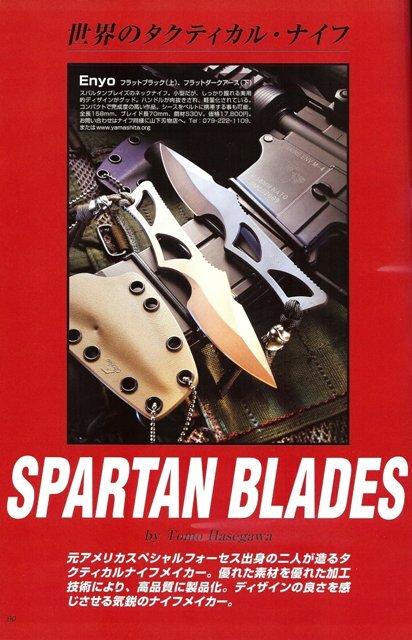 Spartan Blades in Japan - A few Spartan Blades that have emigrated to the land of the rising sun. 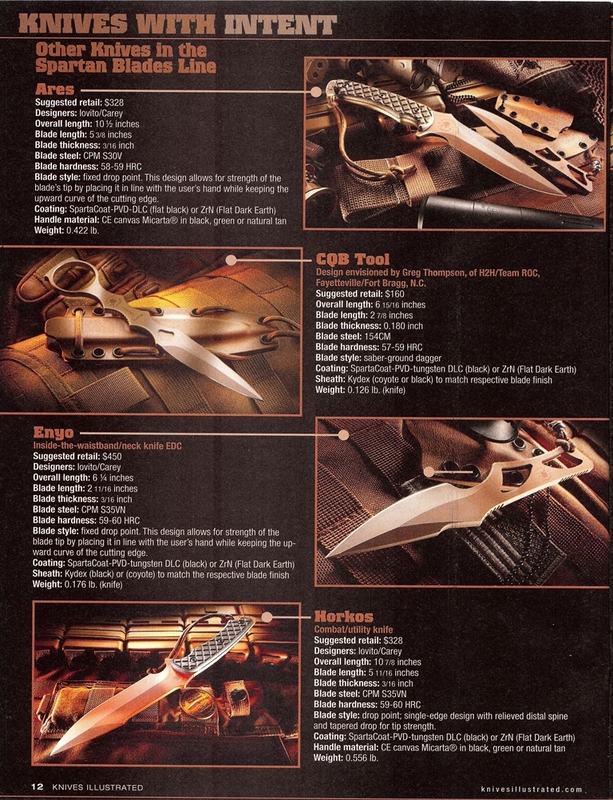 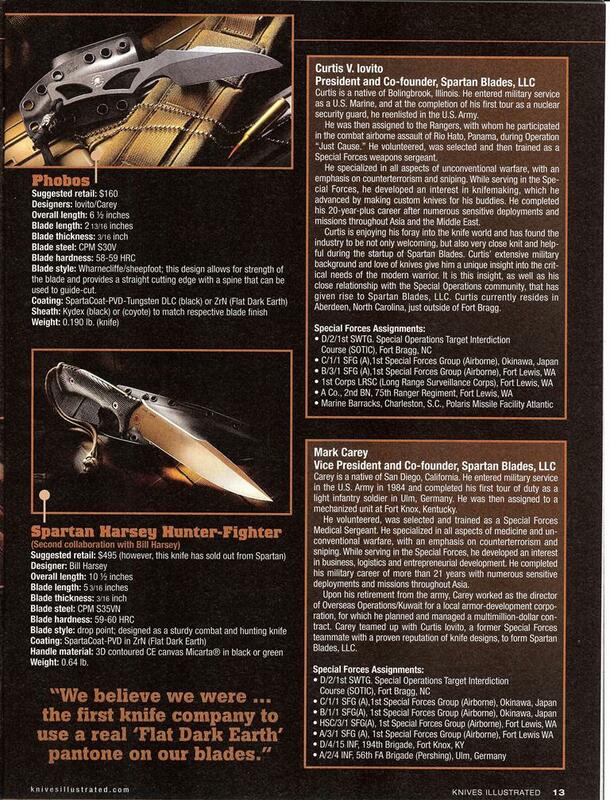 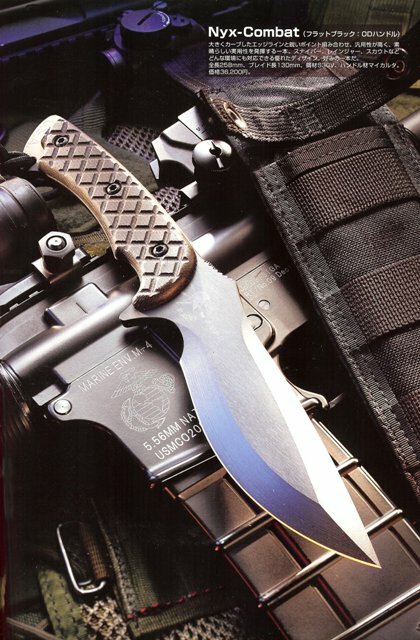 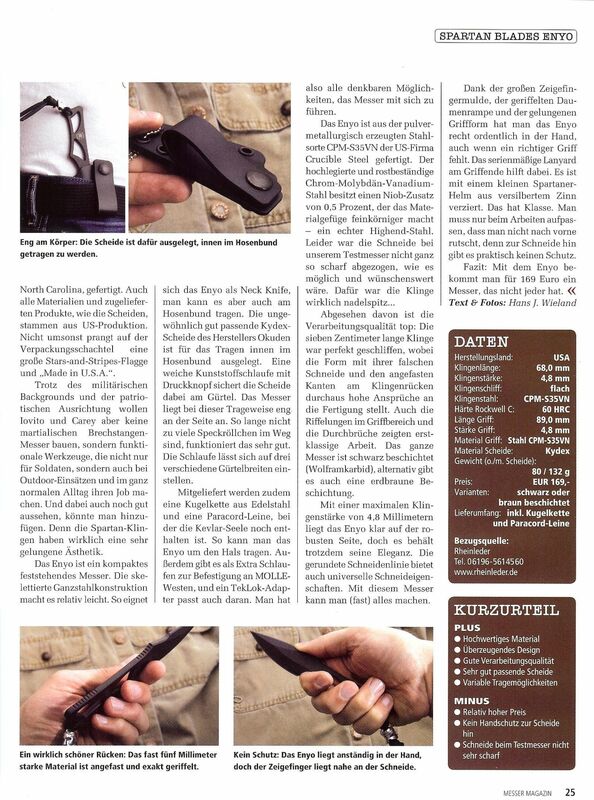 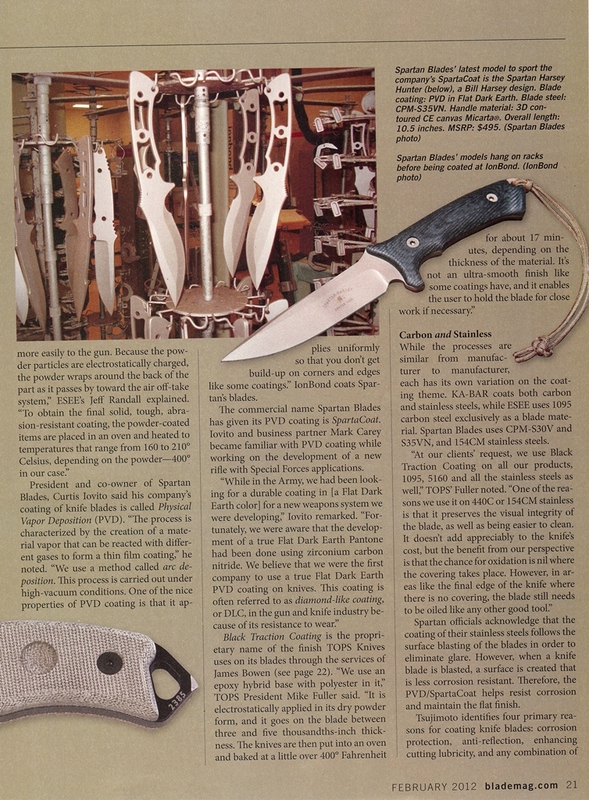 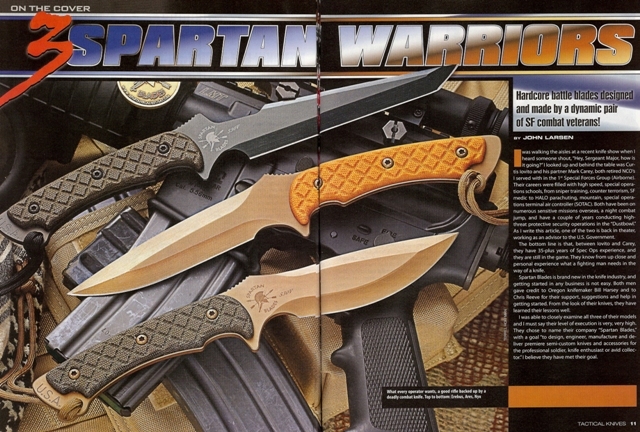 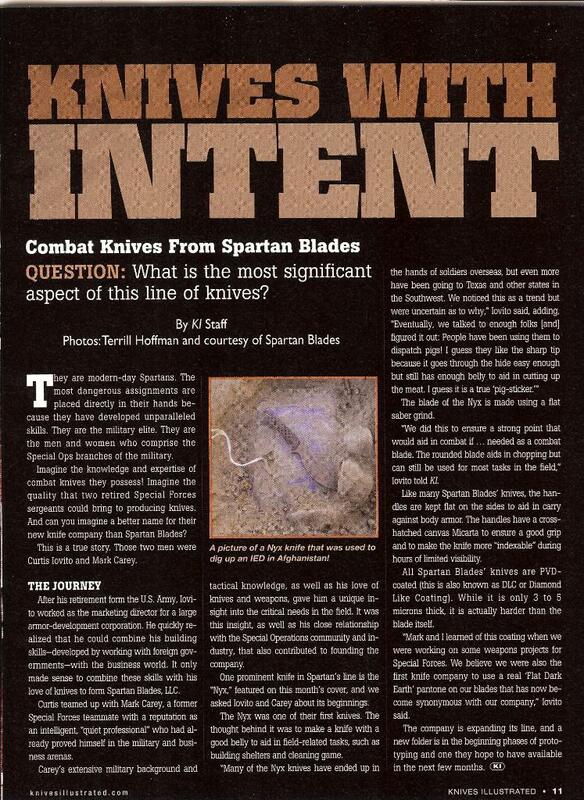 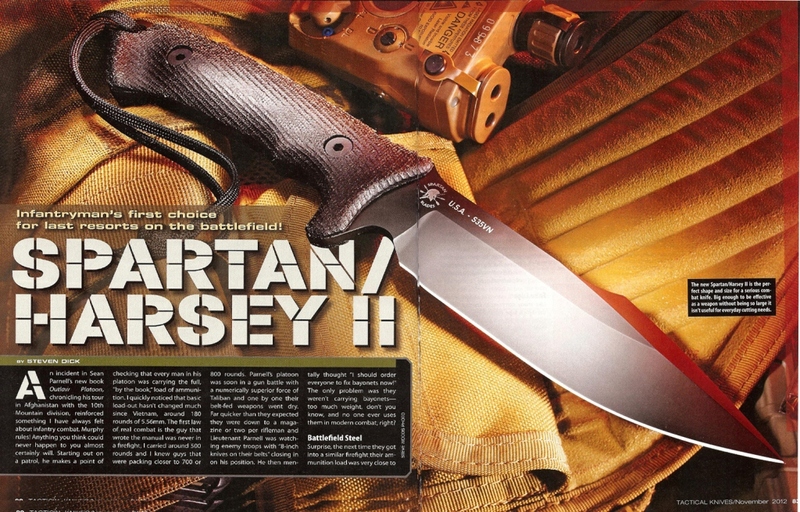 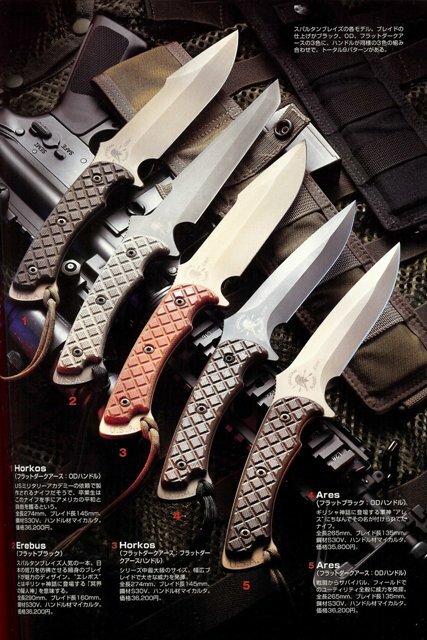 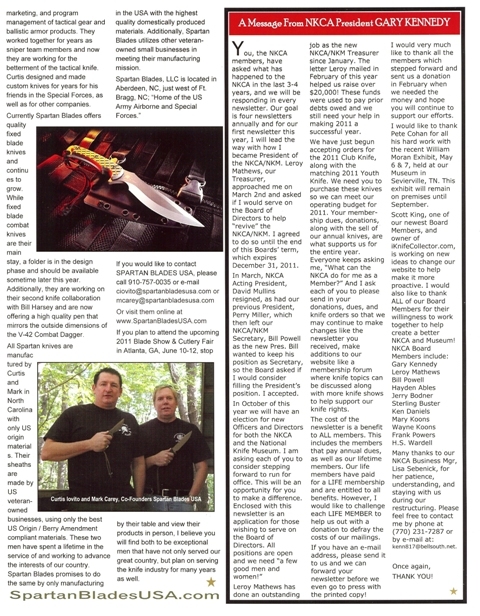 Tactical Knives Centerfold - Spartan Blades featured in Tactical Knives.